John Muir and His Legacy" is at once a biography of this remarkable man--the first work to make unrestricted use of all of Muir's manuscripts and personal papers--and a history of the century-old fight to save the natural environment. Stephen Fox traces the conservation movement's diverse, colorful, and tumultuous history, from the successful campaign to establish Yosemite National Park in 1890 to the movement's present day concerns of nuclear waste and acid rain. Conservation has run a cyclical course, Fox contends, from its origins in the 1890s when it was the province of amateurs, to its takeover by professionals with quasi-scientific notions, and back, in the 1960s to its original impetus. Since then man's view of himself as "the last endangered species" has sparked an explosion of public interest in environmentalism. 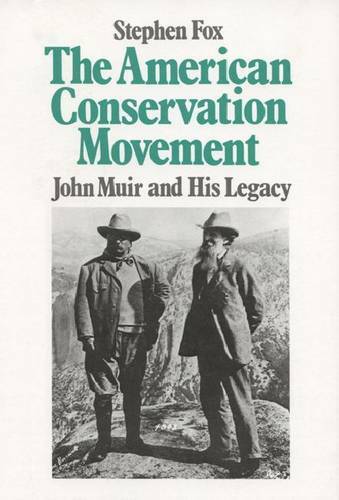 First published in 1981 by Little, Brown, this book was warmly received as both a biography of Muir and a history of the American conservation movement. It is now available in this new Wisconsin paperback edition.